Gamomat software is gaining a lot in popularity these days. More and more online casinos are adding this provider. 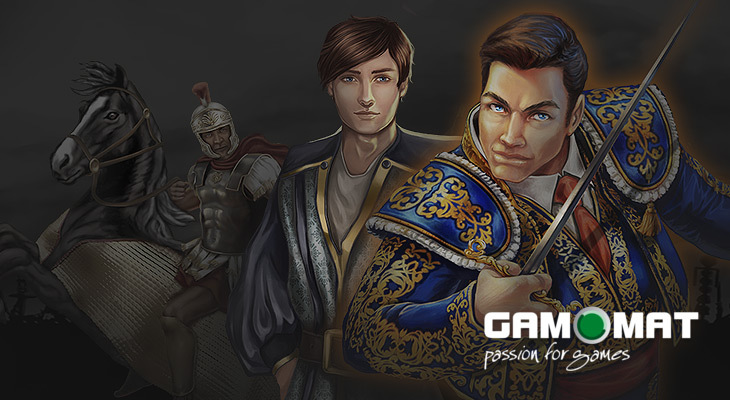 A couple of weeks back Energy Casino added Gamomat and now it’s Casumo’s turn. Gamomat slot games are very colorful games with good graphics and amazing bonus features. They feel a lot like Novomatic and Bally Wulff slot games. These games are known for the fact that you can win huge amounts of money during bonus features. And some of them are also available with cool random jackpot bonuses. As of Monday April 8th Casumo will be adding Gamotmat slot games. Casumo also added a top 10 list of Gamomat titles that will be available, but of course there are many more titles available from Gamomat. Casumo is an amazing and unique online casino with a huge selection of games from many different software providers. They also run a lot of promotions every week. Cash drops, tournaments, free spins, reload bonuses and more. It’s always good to have an account at Casumo. So why not sign up now and start playing all those added Gamomat slot games.